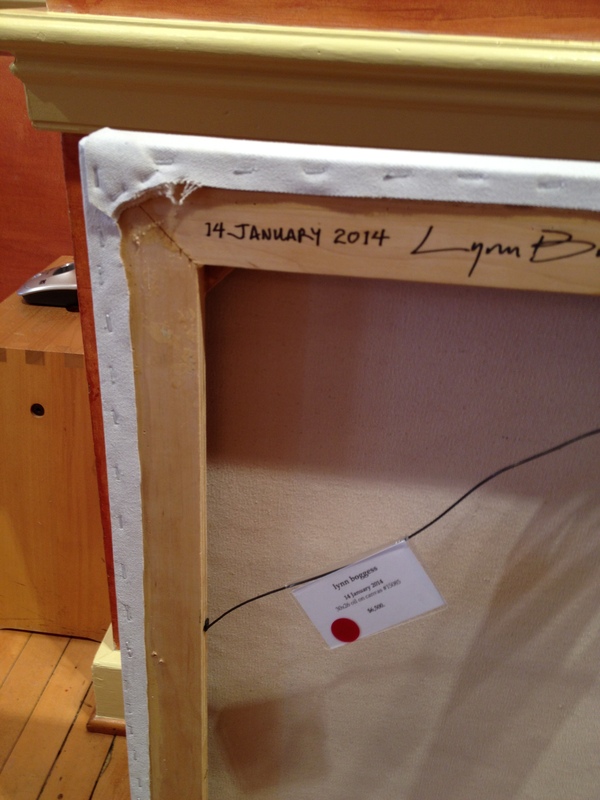 The paintings were transported to the gallery by Lynn and packaged in a very clever way to protect them from damage in transit. The fact is, however, that it’s even trickier to package these works up after they are purchased and we prepare to ship them to their new owners! 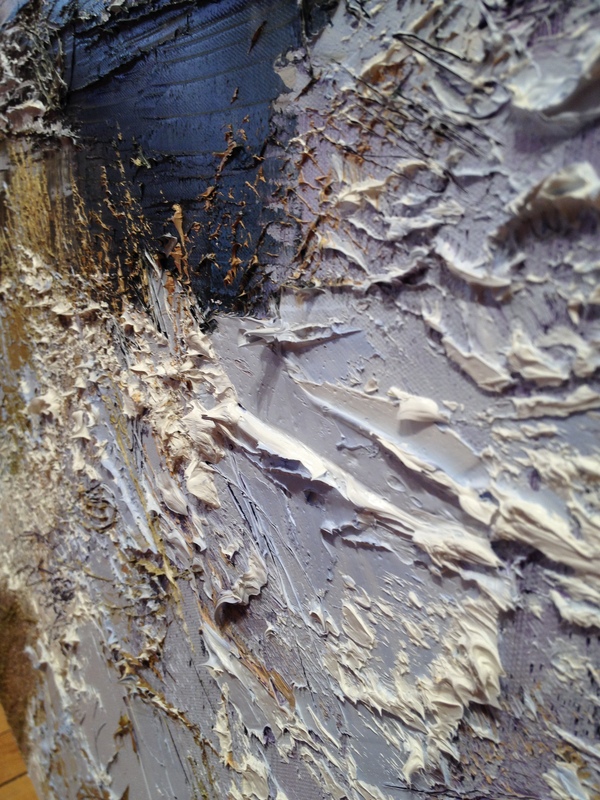 The phenomenal texture of these works means that packing and shipping them is a bit trickier than it is for other paintings . 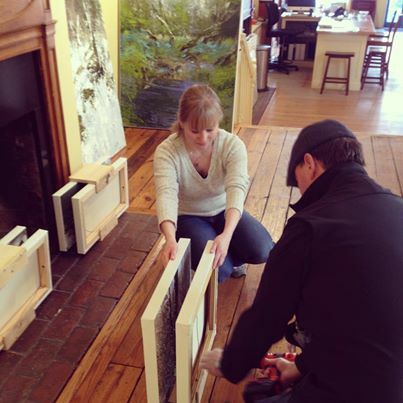 When we pack a Boggess painting to be shipped, we don’t use traditional materials like bubble wrap, foam, or even cardboard boxes. Today we thought we’d give you a sneak peek at how we package these unique works to keep them extra protected. Boggess paintings must be shipped in wooden crates to allow for them to ship without anything disturbing the surface of the work. To secure them in the crates, we utilize the stretcher boards on the back of the paintings. 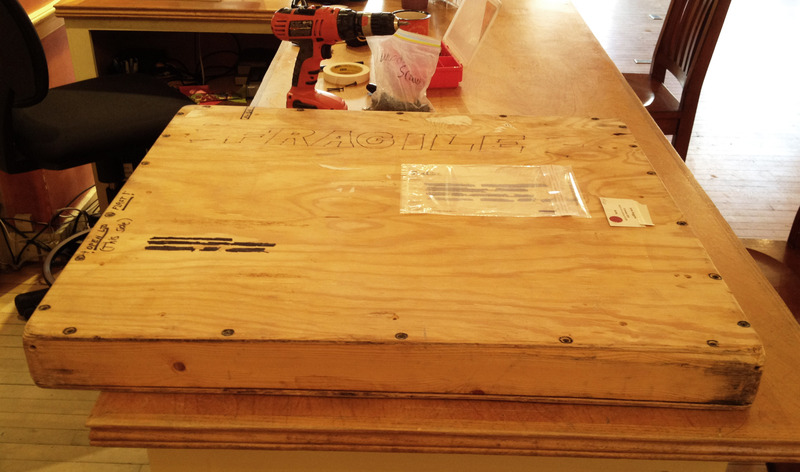 Next, we get just the right crate so that the painting fits inside with only a slight amount of extra room. And next, we secure the whole thing by screwing together the stretcher boards and the crate! It’s a bit extra work to safely package up these pieces, but if you’ve seen how striking and lush these works are in person, you’ll understand why it’s so worth it. To check out the Lynn Boggess paintings we currently have available at Principle Gallery, don’t forget to check his page on our website. To make sure you keep up on all the gallery’s news and events, make sure to follow us on Twitter, Facebook, Instagram, and Pinterest! what dod you do if the painting is framed? and what is this little handle on the side of the crate? just wondering! This particular artist doesn’t frame his work, so this is the way we ship all of his pieces. The handle on the outside is to help carrying it. If we ship paintings in their frames and they are not wet, or have peaks to break off like these, then we will bubble wrap them and put that in a cardboard box.